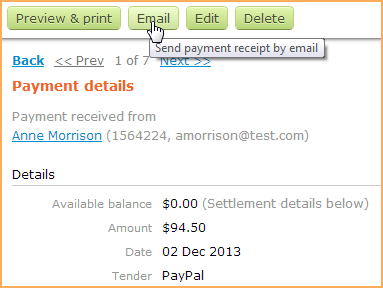 Payment receipts are sent automatically for online payments only. For manually recorded payments, you must manually email the receipt to the contact. 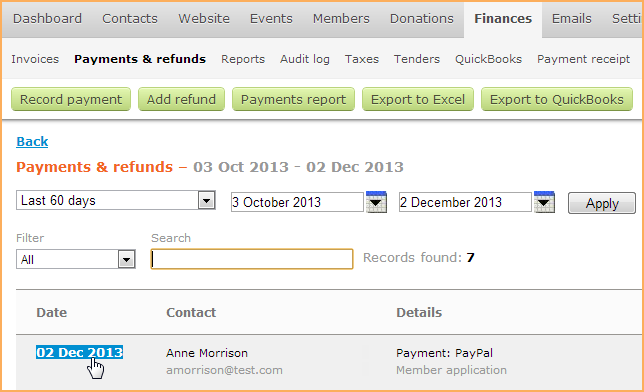 Administrators can view, print, or resend any previously created donation receipt or payment receipt (e.g. if the buyer requires another copy). Members and contacts can also access their financial records, payment receipts, directly from the Invoices and payments tab of their profile page. To email a payment receipt, find and open the payment. Then, click on the Email button. On the screen that appears, you can review and finalize the email. 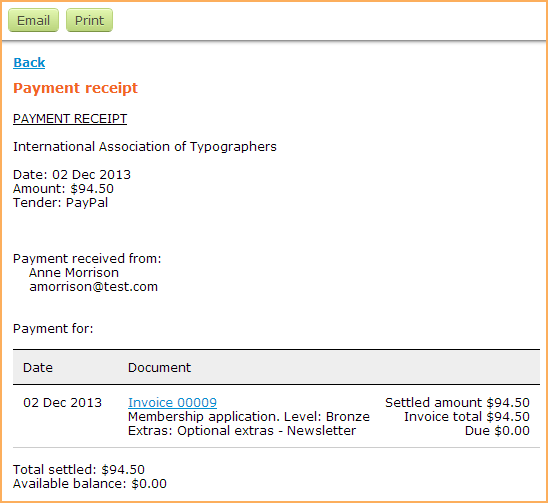 The receipt layout is defined by a template that you can customize. When you are finishing reviewing the email, click the Send email button. 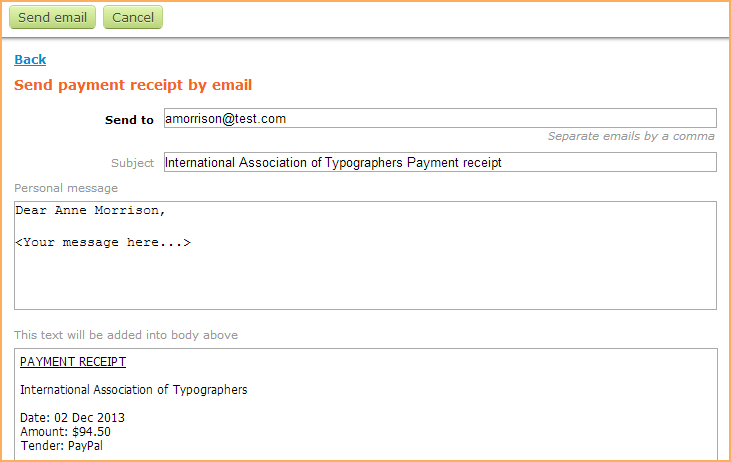 Do not re-send a previously sent receipt from the email log – the macros will not work. Always open the actual receipt and email it from there. To print a payment receipt, find and open the payment. From the payment details, click Preview & Print. You will then see a preview of what you are about to print, laid out according to your template. Click Print to print the receipt, or Email to email it instead.